ReMake It! by Tiffany Threadgould. Do-it-yourself goodness in stores now! 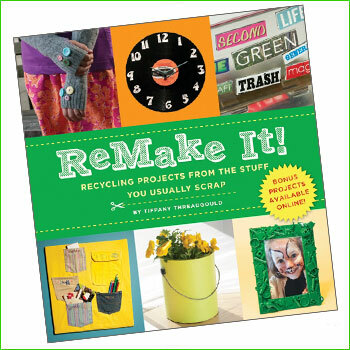 description: We jam-packed this book with 95 do-it-yourself recycling projects! 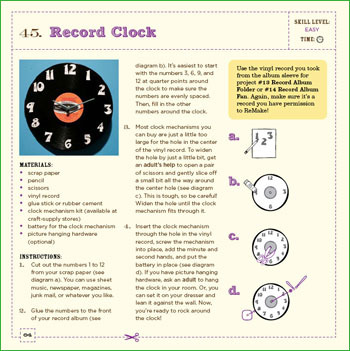 Transform outdated CDs into a lampshade, your empty cereal box into a magazine holder, bottle caps into a game of checkers, and a whole lot more! If your'e a store and interested in carrying this fine book, please contact the nice people at Sterling Publishing or Streamline. 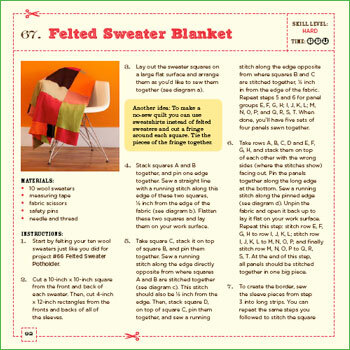 Both places will be more than happy to get this book into your customers' crafty hands. "ReMake It shows everyone that there really is no such thing as waste. Tiffany‘s upcycling projects are stylish and simple, even for the minimally crafty." "ReMake It shows you that reusing scrap materials can be stylish and easy." "Tiffany’s projects are inspiring, fun, and easy to make. In other words, Tiffany is the Martha Stewart of Garbage." Don't just recycle it...ReMake It!